Ahmadi Muslim Asad Shah, 40, was stabbed to death in Glasgow last month and Bradford man Tanveer Ahmed has since been charged with his murder.According to prosecutors, the crime was “religiously motivated” and Ahmed is now awaiting trial.Yesterday Scotland’s Ahmadiyya Muslim community made a public push for tolerance with the launch of a two-week campaign promoting “peace, love and unity”. The campaign, which will see posters carried on 50 buses throughout Glasgow and a further 25 each in Edinburgh and Dundee, is part of a UK-wide effort which began in London and was supposed to begin in Scotland during the late summer.However, Ahmed Owusu-Konadu of the Ahmadiyya Muslim Community Scotland revealed it had been brought forward by four months in response to Shah’s death. He told The National: “It was supposed to be rolled out across the whole country step by step but because of the incident in Glasgow we thought it was best that Glasgow should be the second on the list.”Police Scotland increased its presence around the Bait-ur-Rahman Mosque following Shah’s death and Owusu-Konadu praised the force for it vigilance and close working with the city’s 400-strong Ahmadiyya community. While no similar incidents have taken place, Owusu-Konadu said members of the minority faith group remain fearful.The group, which preaches tolerance, has faced violence and persecution in many parts of the world due to its belief that the Prophet Mohammad was not the final guide for humanity.He said: “We constantly hear on the television that our members have been killed. It is not something new to us. 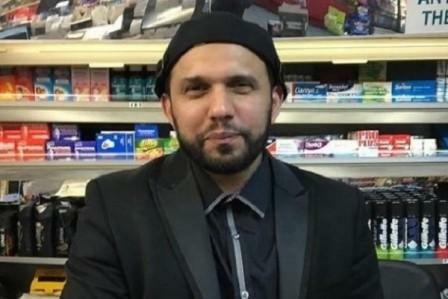 Share the post "Tolerance campaign is fast-tracked after alleged murder of Ahmadi Muslim shopkeeper Asad Shah"